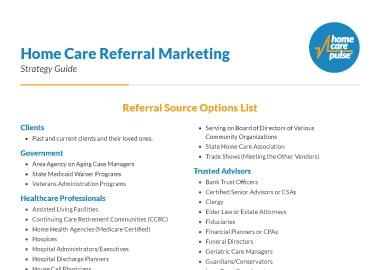 NOTICE: We’ve combined the Referral Source Portfolio Checklist & Options List into one referral strategy guide. This resource includes a list of referral source options and ideas for what you should include in your portfolio for professional referral sources. 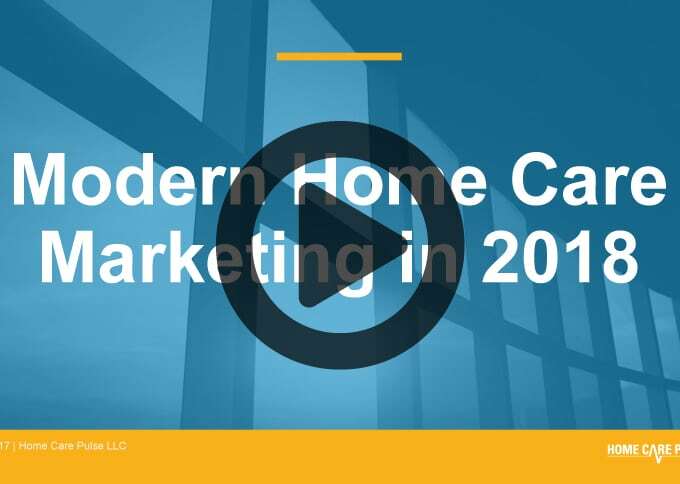 Marketing to referral sources can be a powerful way to grow your home care agency. A good relationship with even one referral source may provide you with a steady stream of new clients. This strategy guide will help you develop a powerful marketing plan for you agency so you can increase your referral sources and build better relationships. identify more referral sources in your community. 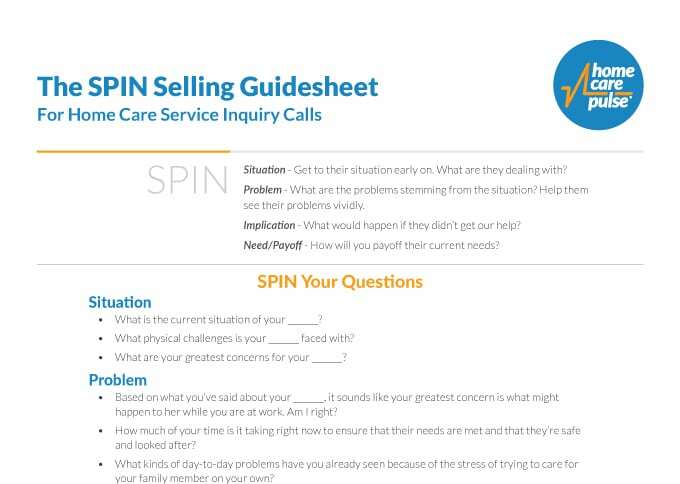 brainstorm your professional referral sources. build better relationships with referral sources. create a powerful referral packet you can leave with potential referral partners.